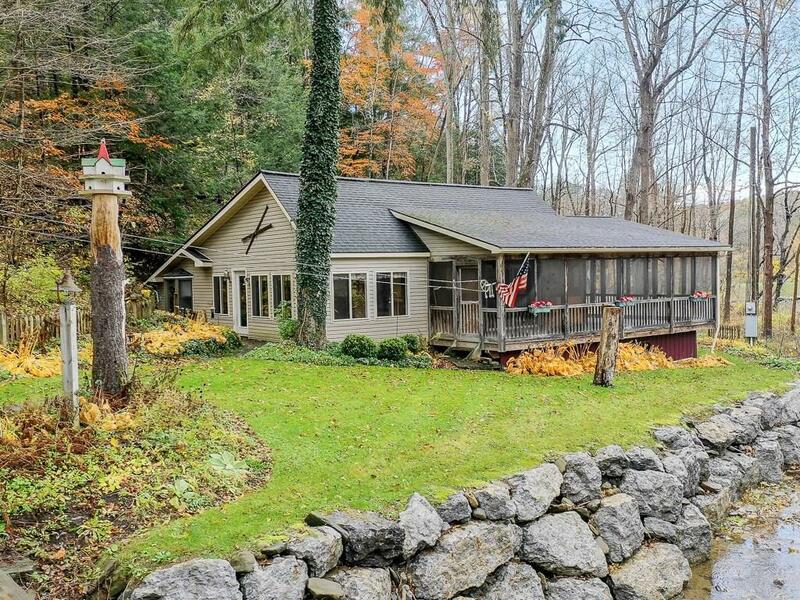 *FOR DRIVING DIRECTIONS IN GPS USE ADDRESS 5042 EGYPT VALLEY RD, CANANDAIGUA NY 14424* Charming cabin situated right on the water (Mill Creek)! Backing to a beautiful tree line on nearly 9 acres, this home has no shortage of privacy! Featuring a large enclosed porch that overlooks the creek with a private bridge added just 5 years ago! This spacious one bedroom, 1,056 sqft cabin is a home away from home! Potential for year round living! The interior features a cozy living space & separate office space just off the enclosed porch which makes for ample natural light! The kitchen houses custom maple cabinetry. First floor laundry! The exterior features a detached 2.5 car garage with electrical service! Mechanics have been very well maintained. A/C 2013, Furnace 2011. Additional updates & upgrades include, Everdry system, windows, garage all installed/replaced 10 yrs ago. Directions To Property: For Driving Directions In Gps Use Address 5042 Egypt Valley Rd, Canandaigua Ny 14424.